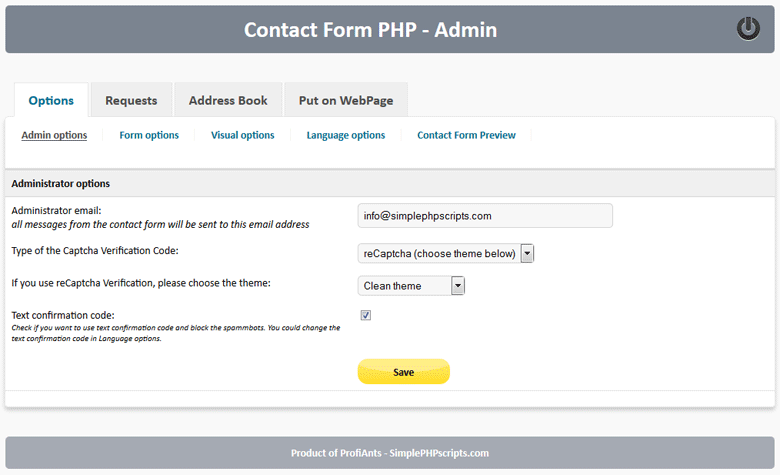 How to install Contact Form PHP? 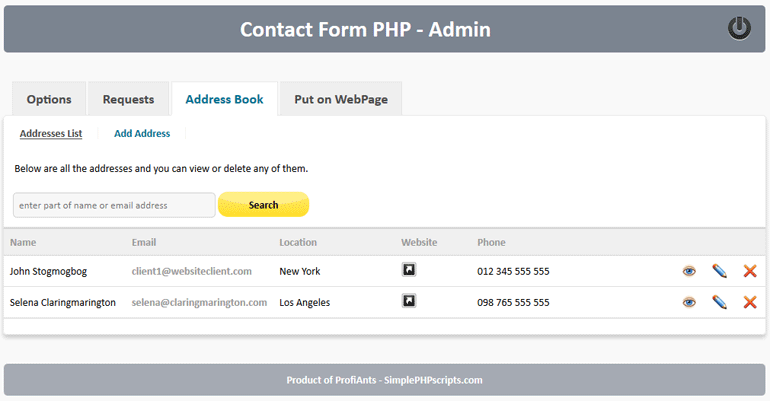 How to use Contact Form PHP? How to use options in admin area? 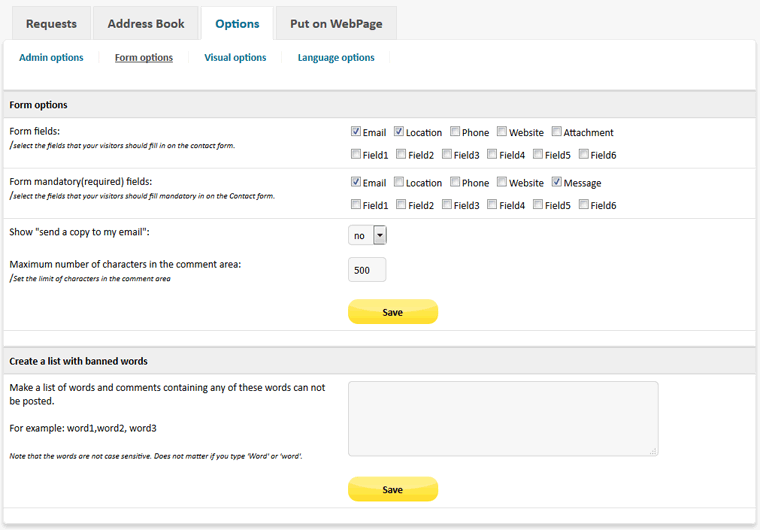 How to put the contact form on a web page? 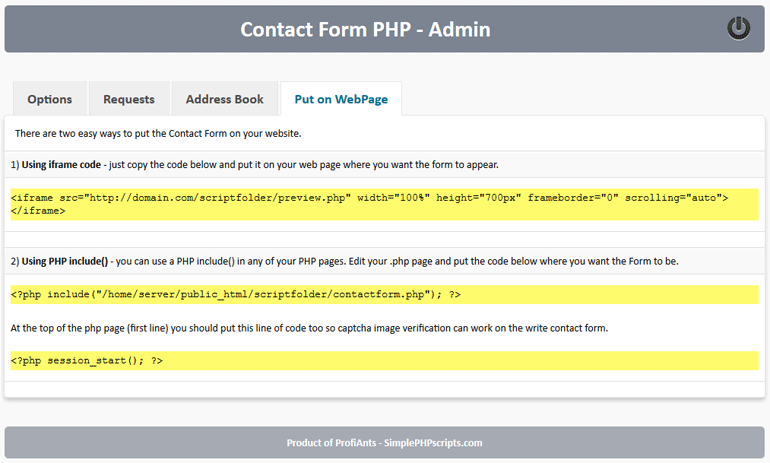 How to install Contact Form PHP? 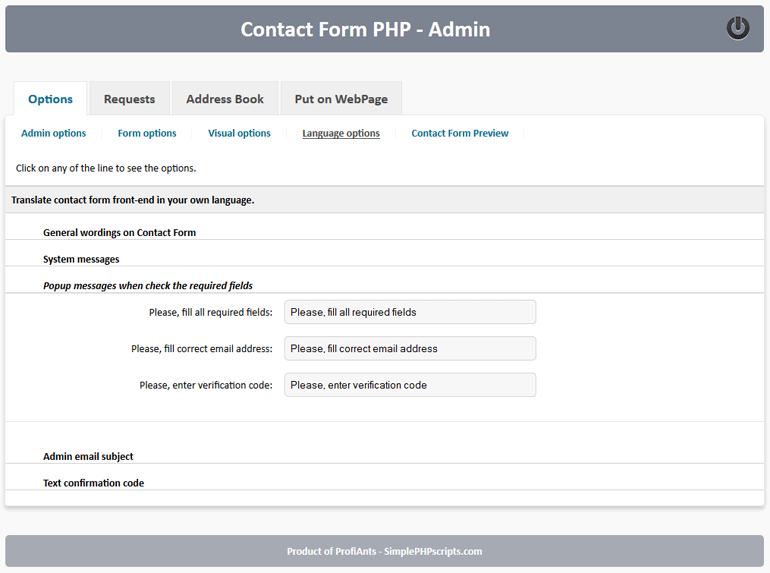 Contact Form PHP require PHP 5.3 or higher version and MySQL 5.0 or higher version to run on your server - you can see the current version of PHP and MySQL in the control panel of your website. 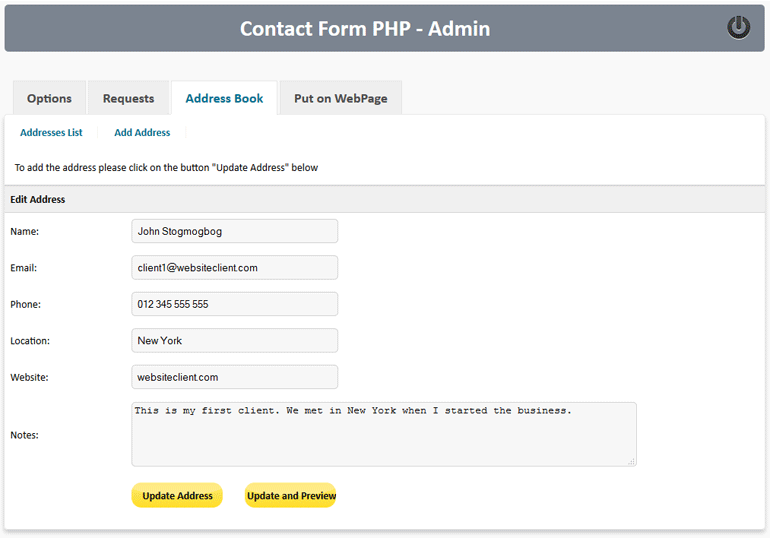 How to use Contact Form PHP? 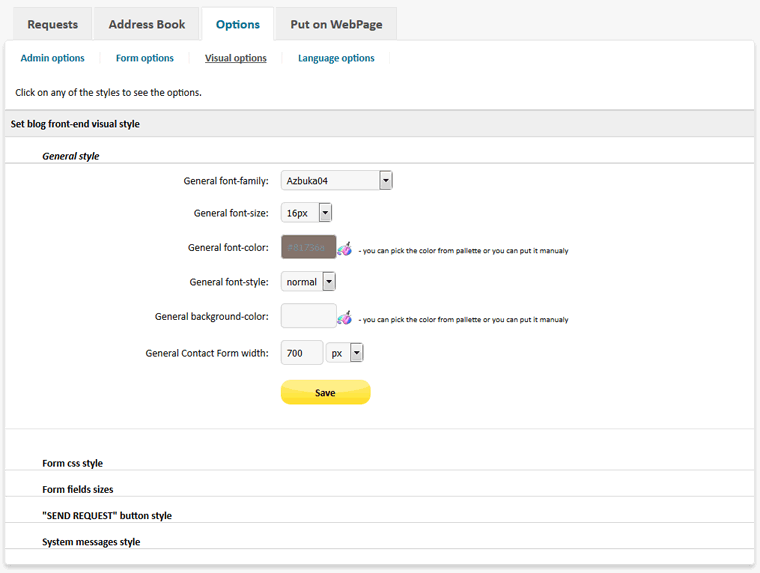 Now you may click on "Contact Form Preview" submenu button to preview the contact form. How to put the contact form on a web page?